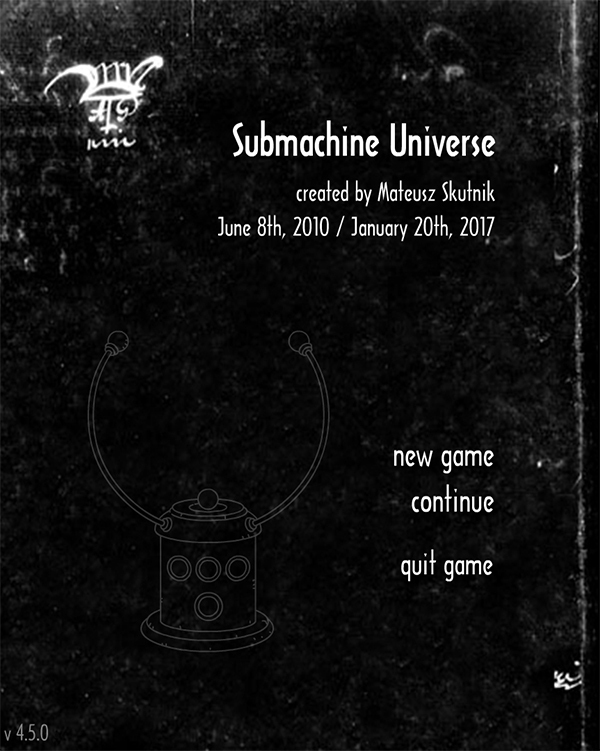 The Submachine Universe HD is actually ready and I’d be able to put it up in my shop even tomorrow. However, there are several non-development related problems with the idea of selling it. Problem 1: Creation of parallel versions of the Submachine Universe. The first and biggest hurdle is that such a release would create a net of parallel universes of Submachine. You see – all previous games I released were all done and finished. This one is not. It’s an open project, and I don’t mean it’s unfinished. It’s just open for future expansions, it always has been, it’s being expanded since 2010 up until this day. Yes, I changed something today in it. In it’s HD version, that is. The one that actually resides on my hard drive. 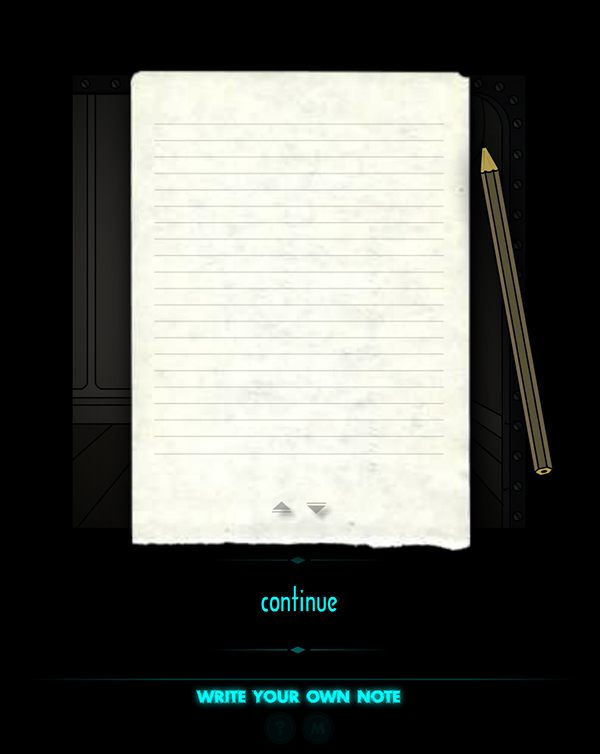 I added main menu and in-game menu. 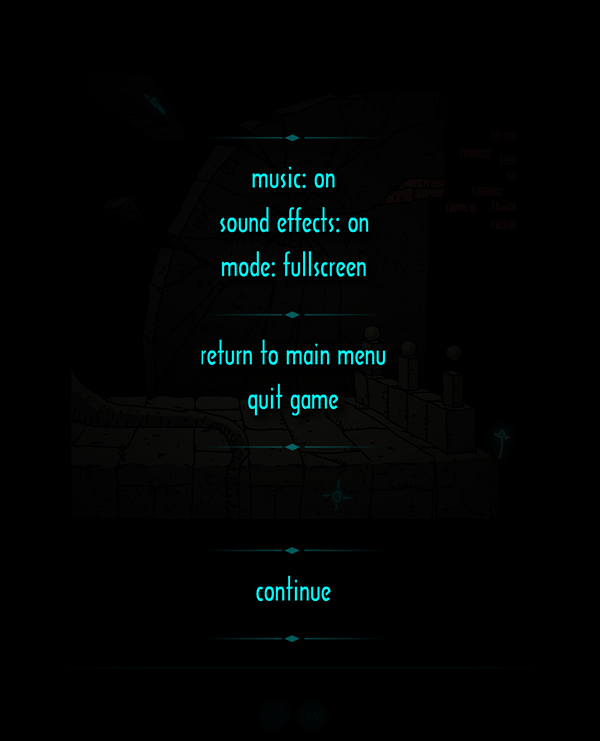 You can control music, sound effects, window mode and so on. That’s because it’s fit to act like a standalone application. And here’s the issue. By releasing the HD version I’d be splitting the Subnet existence into two identities – the free online version, and the HD, paid version. Since I stepped away from flash, Subnet remains my only project that I still go back to in flash. I moved all other game design to Game Maker last year. This project is the only living reminiscence of previous era. But I’m pretty sure I won’t be able to maintain two different versions of it at once. You see, the online version differs from the HD version. Releasing the HD would have to mean abandonment of the free online. I’m not sure that’s what you guys would want. Problem 2: Inevitable Steam version in the future. Moreover, I feel that in time all Submachines will have to end up on Steam, which means they will have to be recreated in Game Maker (or some other, non-flash engine I’ll be sporting by then). That means a third version of it would be created. And by then, previous, flash versions of Subnet would have to be abandoned as well. You see where I’m going with this? Releasing the HD version now creates more problems down the way and also renders the free online version obsolete. The problem really is with it’s ability to expand. If it was jut a simple game – no problem there. I’d just create a legacy build of a finished game, release it and move on. But here, things are different. Creating new version means future expansions will be created on that new version, previous ones are obsolete. I feel, I’m repeating myself here, but that’s the most important issue I’m tackling here, that the online version would have to be abandoned. Problem 3: Simultaneous selling and giving out for free doesn’t make sense. Adding to that, I’d also have to leave behind my terrible, terrible politics of trying to sell you something, and at the same time giving it you for free. I explained that before, I felt like you guys deserved free versions of all Submachines from main story line up until the end of main series, just because that’s the way the series started. As free online. However, during those 10 years monetisation profile changed several times, but this philosophy haven’t. Up until Submachine 10, you can play all these games free online, even as that model doesn’t generate any income for me anymore whatsoever. But now? It would be completely idiotic for me to try to sell you Submachine Universe with all it’s free upcoming updates that can go on forever, and at the same time give it for free. Again, we’re back to the subject of it being an expandable project. I can’t give it for free anymore. Therefore, releasing the HD version would mean the end of free online. So I ask once again – are you guys ready for this? I’m not sure I am. Problem 4: User generated content. There’s also another problem. Submachine Universe utilizes content created not by me, but by fans of Submachine. I’m not sure whether they would find it fine for me to sell this project. 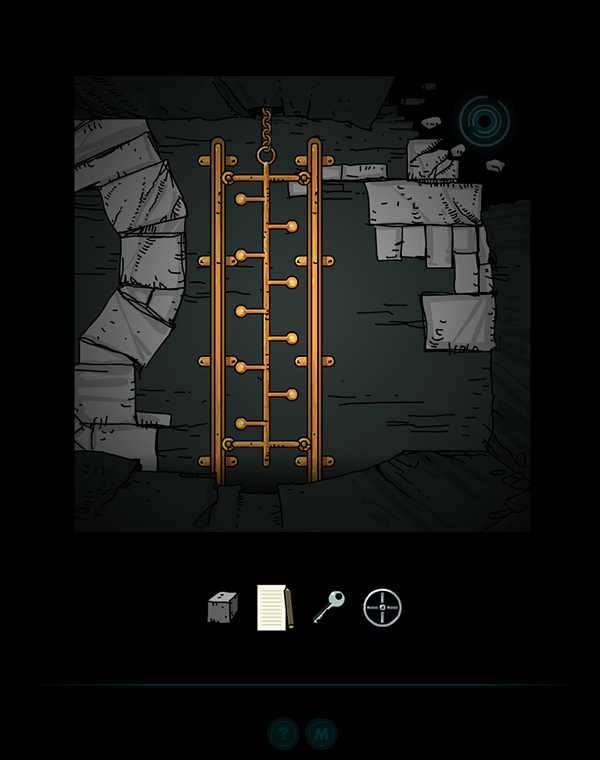 First and foremost I’m talking about Submachine theories, all written by players trying to get the hold of this whole Submachine mess. Besides theories, the project also has fans’ drawings, photographs, maps, schematics, 3D renderings and so on. So the question is: should I be allowed to sell all of this as a part of my game, or not? Should I remove all user-created content from it and replace with something I’ve written myself? That would be like ripping the heart out. Again, I’m torn on this. Need your opinion. And here it is. All issues related to the release of Submachine Universe. There are several paths I can take from here, I’d like you to chime in and tell me what’s your thoughts on all of this. Legacy and free expansions: release HD version as a legacy build, but keep updates free online, meaning the project would expand for free, but paid version would be frozen in time and left for dead. do nothing: keep things as they are now, which means project stays free online as is, Subnet HD stays on my drive and no one ever sees it. And that’s all. As you can see the problem is a bit more complicated than one might think. On the other hand, I might be overthinking all of this. Let me know, the future of the Universe depends on it!